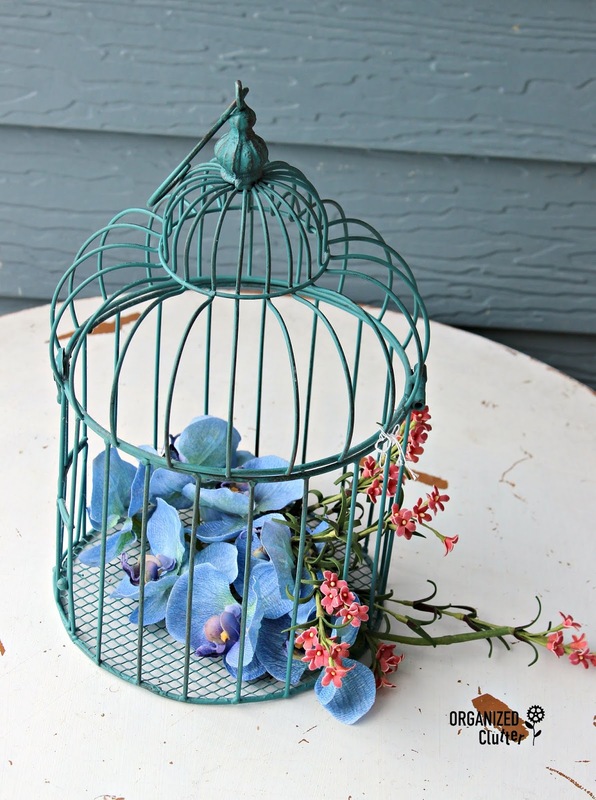 Do you remember the teal birdcage I purchased back in February thrifting? Since teal is not my color, I had to paint it! I cleaned out the fake flowers, washed the birdcage and then brush painted it with watered down Rust-Oleum Chalked Paint in Linen White . I use 1/2 paint and 1/2 water for my whitewash. I sealed my birdcage paint for outdoors with Minwax Water Based Helmsman Indoor/Outdoor Spar Urethane Aerosol in Satin . I pounded a large nail through the middle of the pail bottom for drainage. This is an annual rose baby's breath bedding plant. This annual is on my underused-great annual list! Most of the birdcage planters that I see on Pinterest are planted with succulents. 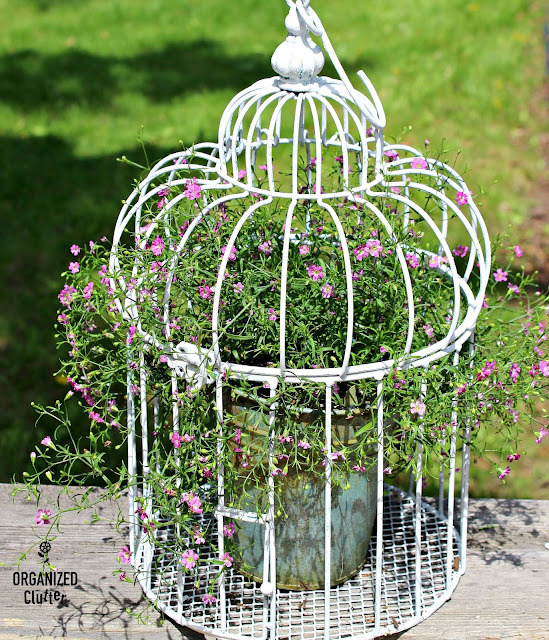 Annual baby's breath is a great alternative to succulents! I think my birdcage is adorable! 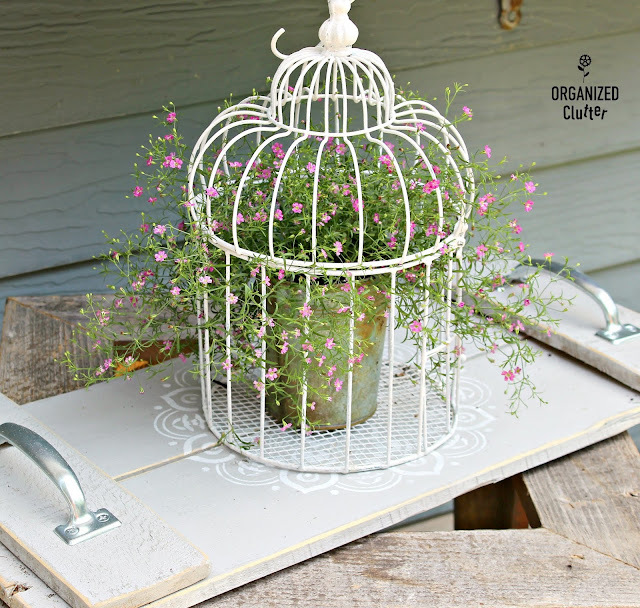 I have displayed the birdcage planter on my pallet tray re-purposed from a thrift shop pallet sign. This planter will need daily or twice daily watering! 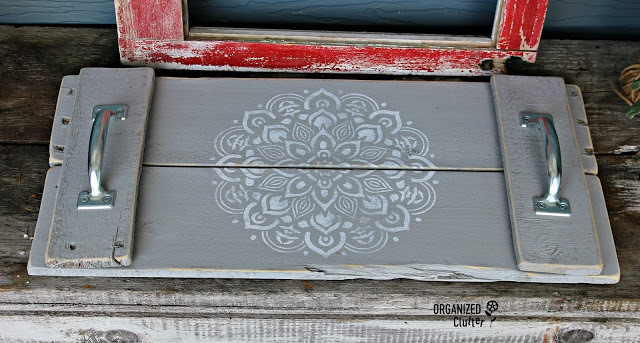 What a beautiful design Carlene! 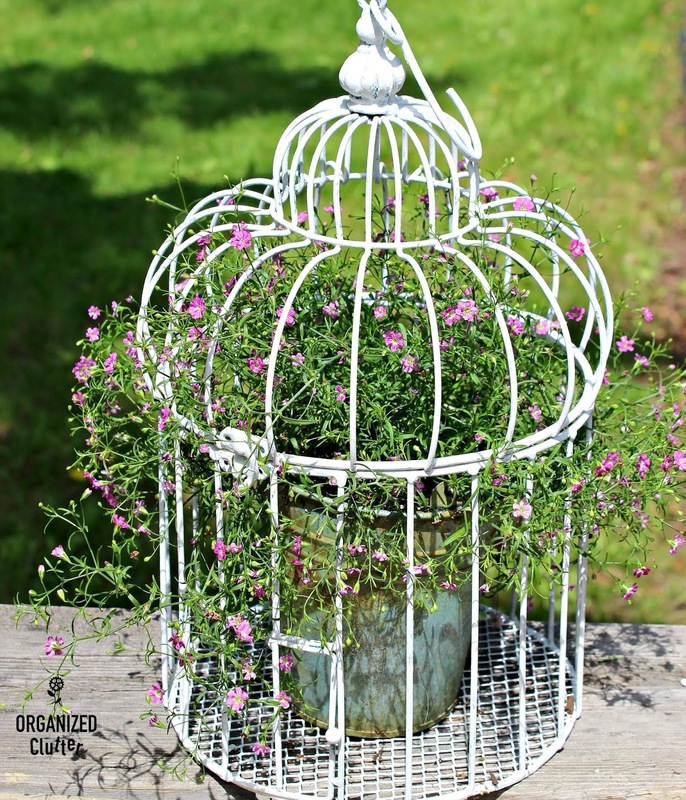 The baby's breath looks marvelous in this vignette. 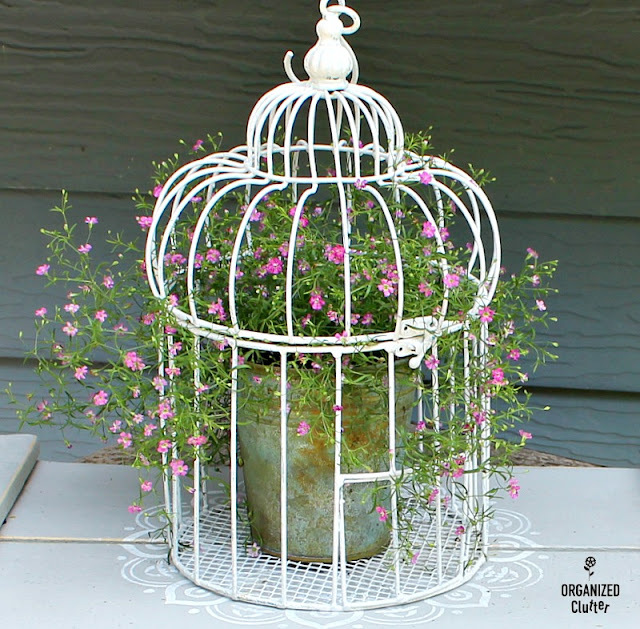 :) Love the cage in white too.